So your wedding table is all decorated and looking beautiful, and all you need now is the finishing touch to thank your guests for making your day complete. 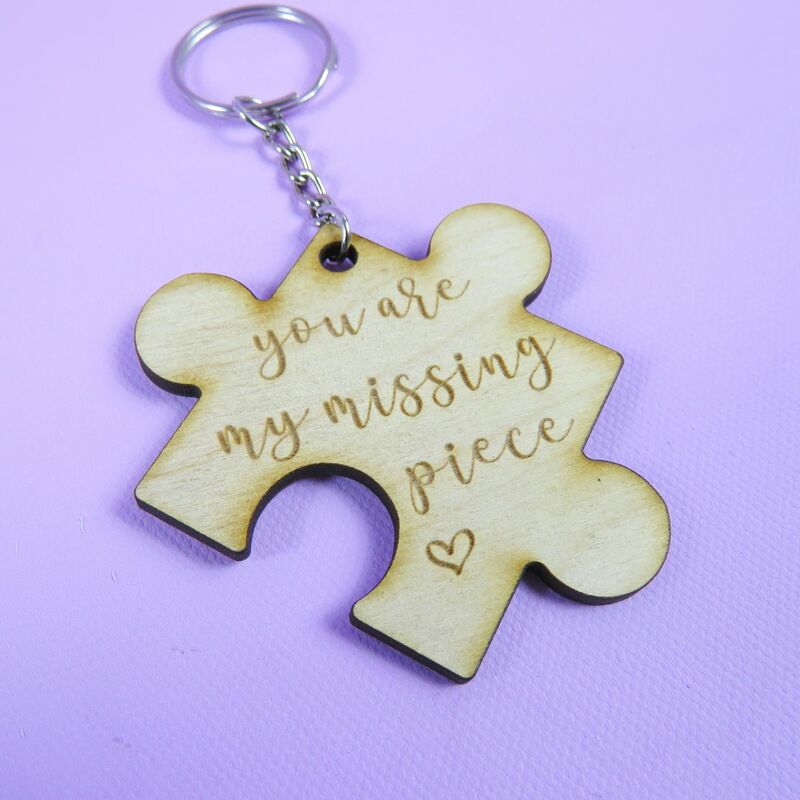 Our laser cut jigsaw keyrings would be perfect! Cut from 3mm birch plywood, and approximately 7 x 4cm, they will sit perfectly on the napkin or plate letting your guests know just how special they are. The keyring attachment makes this piece a useful gift, meaning they can treasure and use it forever.